This playbook is a roadmap to setting up, managing, hosting and promoting your own chat. It is designed to help you fully understand every aspect of a Twitter chat and also includes a series of checklists that will help you stay focused and organized. Rather than spending countless days and weeks teaching yourself how to best host a Twitter chat, you'll learn everything necessary to successfully lead your own chat in no time. You'll quickly become a master Twitter chat host! Once you complete the course, we'll set up a one hour coaching/brainstorm session. We'll work on your next steps. I'll answer your questions. I'll be your mentor throughout this process! How Does a Chat Work? What’s the Format? What Tools Do You Recommend? Why Should You Start a Chat? Madalyn Sklar has been hosting Twitter chats every week for the past five years. She shares her vast knowledge in this playbook and checklist. As an added bonus you'll get video interviews with top Twitter chat hosts sharing their insights. They talk about how they got started with their chat and how running it helped their career immensely. They'll discuss do's and don'ts to hosting a chat. And they'll share insights of what they wish they knew when first starting out. These videos alone are worth the price of admission! Madalyn Sklar interviewing Kristy Gillentine, host of #ChatSnap. A Twitter chat that's all about Snapchat! 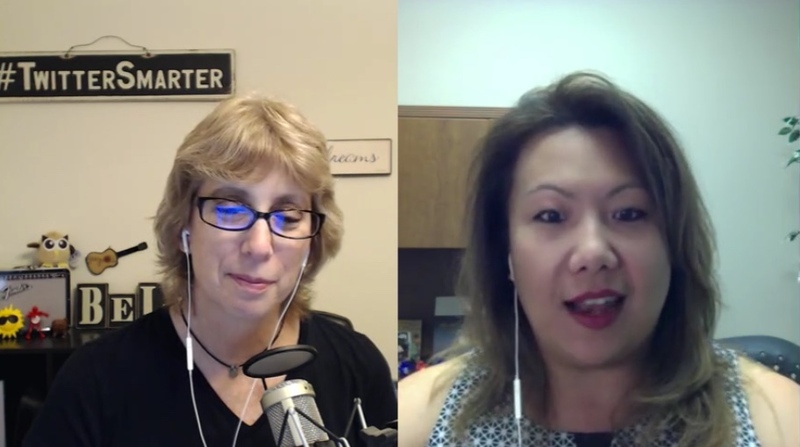 Madalyn Sklar interviewing Anh Nguyen, host of #MobileChat. More videos coming soon from #CollegeCash host Jodi Okun, #MediaChat host Aaron Kilby and #SproutChat host Sarah Nagel. Madalyn Sklar is a serial entrepreneur, community builder, speaker and leading Twitter marketing expert. She’s ranked the #1 Social Media Power Influencer in Houston. Each week she hosts the #TwitterSmarter Twitter chat that brings together hundreds of people in an active one hour discussion revolving around Twitter marketing. Since launching three years ago, it has reached over 6 billion impressions. She also hosts the weekly #SocialROI chat that’s presented by ManageFlitter. 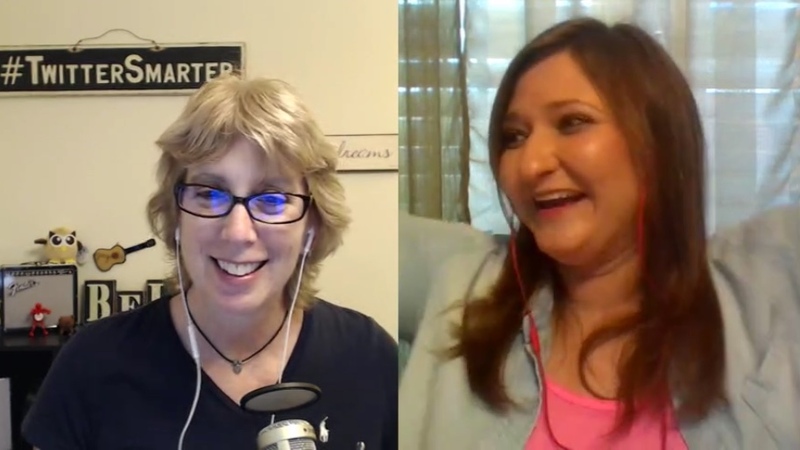 Madalyn interviews leading social media and marketing experts for her TwitterSmarter podcast and co-hosts the weekly Communities That Convert podcast with Kami Huyse. Huffington Post has named Madalyn one of 50 Women Entrepreneurs to follow. Questions? Email me or send a tweet @MadalynSklar. 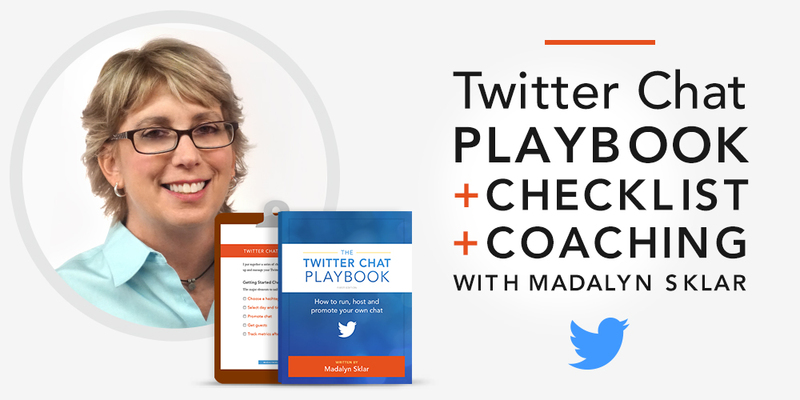 Welcome to the Twitter Chat Playbook! 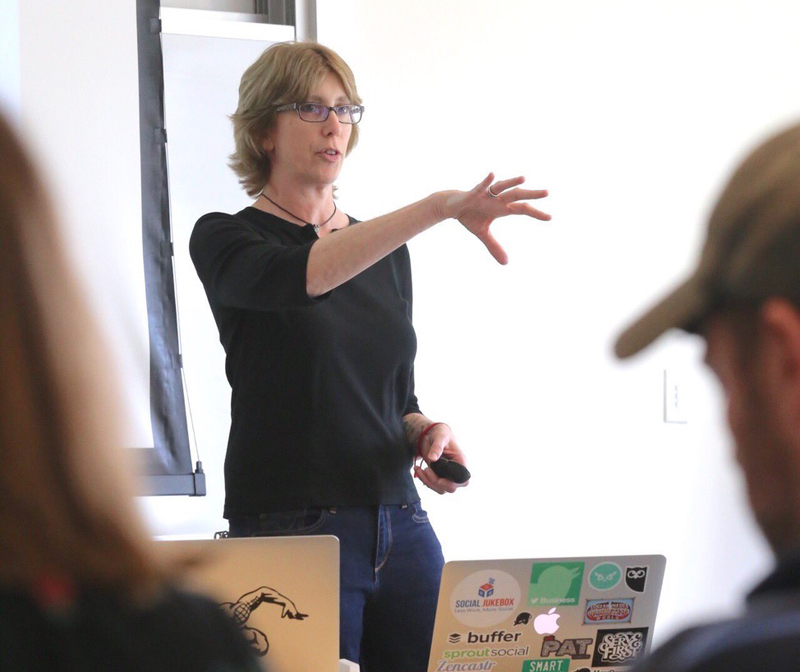 Sign up for your Consulting Session with Madalyn Sklar!